Braxton Berrios is a football player who plays as a wide receiver for the New England Patriots of the National Football League (NFL). With a reputation of quickness, he was selected by the Patriots during the 2018 NFL draft after he recorded an impressive college career while playing for the Miami Hurricanes. Berrios was born on October 6, 1995, in Raleigh, North Carolina to Rico Berrios and Lee Berrios. He was brought up with his older brother, Austin who also played as a wide receiver for the East Carolina Pirates football club. In addition, Braxton has two younger siblings, Jackson and Carson. He grew up in a very large family that is half Puerto Rican, something that is suggested by his name. According to Berrios, he doesn’t know so many members of his family because of how large his family is. Braxton started playing football since he was a little kid. One story that has been told repeatedly has it that when he was only 6, he got his father to come out in the rain (that kept everyone else indoors) and throw the ball at him. From then on, no matter the weather or how muddy and slippery it was, the young Braxton Berrios would always catch the ball. He attended the Leesville Road, Raleigh, North Carolina where he was a four-star wide receiver. Thanks to his exceptional performance in high school, Braxton had had more than 20 Division 1 offers before his senior year of high school. Despite the numerous offers he had before him, he only hoped for one to come from Al Golden, the head coach of Miami College. As fate would have it, it came on the 4th of July, a weekend prior to the school year. He wanted to school and play there because he had many of his family members living there. At the college, Braxton Berrios became an even bigger name after he helped Miami to a 24-20 win at Florida State. He played for his varsity from 2014 till 2017 when he left to pursue a career in the NFL. Braxton entered the 2018 NFL Draft where he was selected in the sixth round with the 210th overall pick by the New England Patriots. He was soon given a contract of 4 years that was worth $2,578,408. With a signing bonus of $118,408, Berrios is expected to take home $480,000 in his first year with the team and then $495,000 in the second. In his third and fourth seasons, his salaries have been put at $660,000 and $750,000 respectively. Unfortunately for Berrios who has been described as the typical receiver of the Patriots (because of his not being afraid to get the job done and the fact that he gets it done from the middle of the field), he found himself on the injured reserve. However, his the team made it to the Super Bowl LIII to slug it out against the Los Angeles Rams but the wide receiver was missing in action. Hopefully, he will make a full recovery and bounce right back to the field. Other than his great footballing skills, Berrios is also very smart. He went to Miami’s business school where he was an Academic All-American and valedictorian. As already stated, the parents of the Patriots wide receiver are Rico Berrios and Lee Berrios. Although he grew up with both of them, they have been divorced for some time but still live a mile from each other. In addition to that, he also has a step-mom, Jessica Berrios. 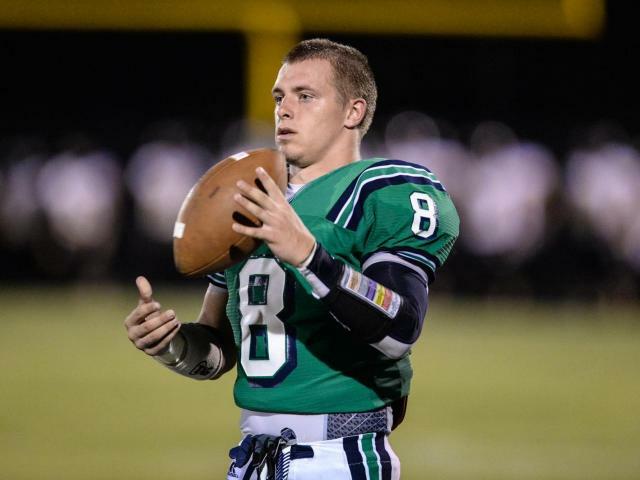 From a large family, Braxton Berrios grew up with his grandparents around as well as his aunts and uncles. Even though he still has some family members in Puerto Rico, the NFL player has met more than 50 of his relatives already. On his love life and relationship status, there is yet to be anything revealed by the wide receiver. Even though it is not known if he has a girlfriend, it is known that he is not married. Braxton Berrios is not one of the tallest or even most built men in the NFL. That said, he still has a good height and an athletic build that has always helped him to achieve so much as a footballer. The Raliegh native has a height that measures 5 feet 9 inches (1.75 m) while his body weight is 86 Kg. Inasmuch as there is nothing provided on his general body stats, Berrios obviously has the body he needs to be successful in the NFL.